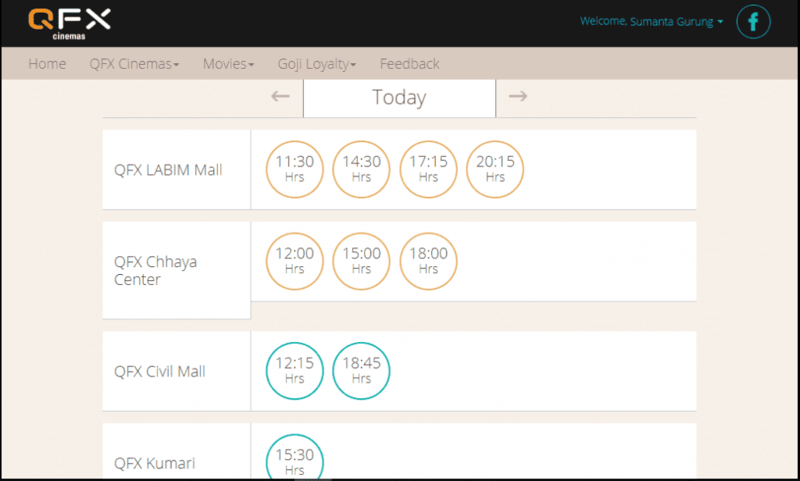 Nepalese people have always been huge fans of cinemas and watching movies in theatres but most of the cinemas were providing bad services and qualities. There were few good cinemas but were pricey and not reasonable. That is when QFX was introduced. Cmoing with the renovation and revamping of Jay Nepal, which was the oldest cinema in Nepal. 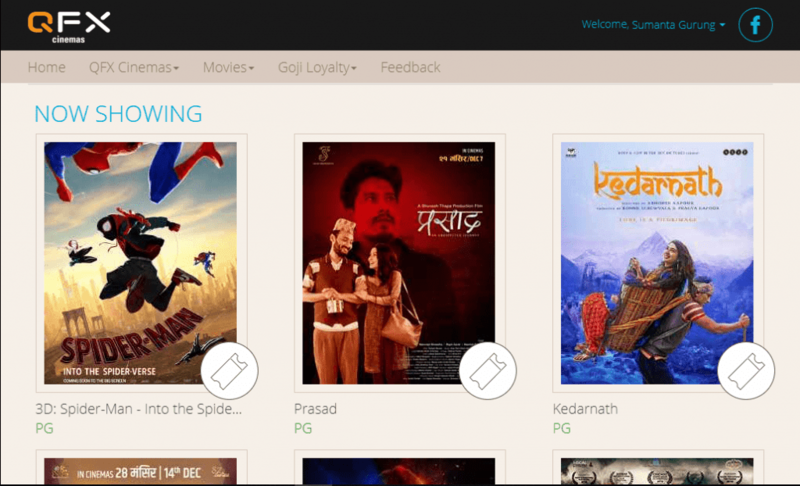 QFX is a chain of cinema in Nepal. Providing a very good quality and services as well as reasonable prices. It has established its branch after Jay Nepal and Kumari hall in many other locations of Nepal. They were the first to introduce online booking and buying QFX tickets. QFX also introduced 4K digital camera projection to Nepal in Labim Mall, Lalitpur. QFX cinemas use high technologies such as Barco projection for best quality video and sound projections. Not just that they have excellent clean facilities such as washrooms and food stalls and drinks. 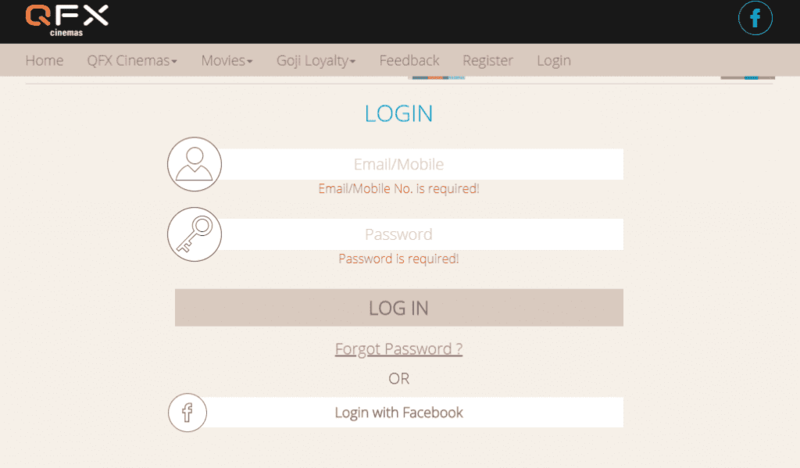 Step 1: Go to http://www.qfxcinemas.com/ and login to your QFX account by typing in your Email and password. Step 2: Choose the movie that you want to watch. Click on the ticket logo on the side of the thumbnail. Step3: After this, you have to choose the day and time preferred. Step 4: There are seat planning. 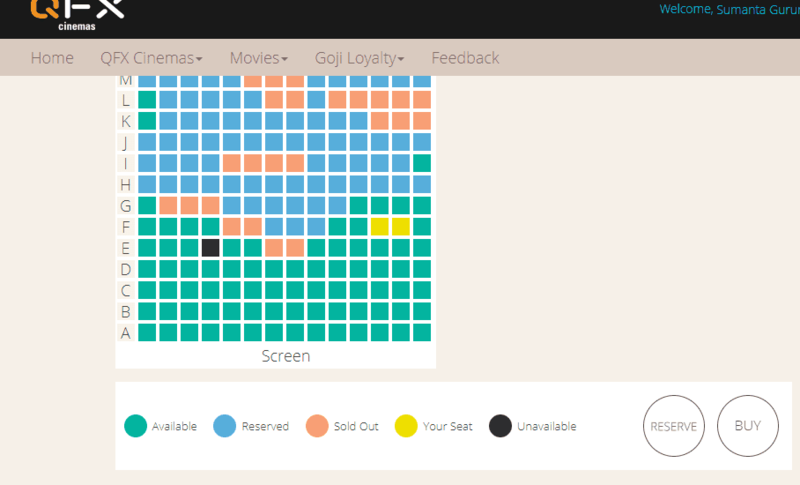 Blue are reserved, pink is sold out and green are the seats that one can reserve. Once you have chosen the seat that you want, your seats will be coloured yellow. Now you can proceed to reserve or buy. But in this article we will show you how to buy your QFX ticekts. 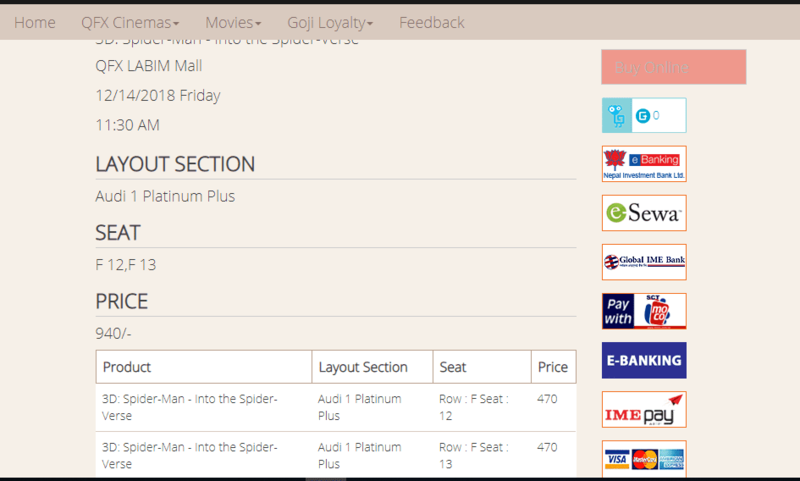 Step 5: Now in order to buy QFX tickets online, there are many affiliated organisations and ways you can buy your ticket. If you see your bank logo and you have e-banking then you can do that. Or choose other alternatives such as Esewa, Ipay and Khalti etc. You can also use your visa card for payment. Choose your option. Each different options you choose to pay will have different ways for the payment. Mostly generally saying, it will ask your account number, verifications, card number and your personal information. After entering all the information asked, click on the buy button. And you have bought your QFX tickets.